Fort Monitor 3.11 includes a mobile version designed for tablets and smartphones as well as automatic tools for building reports. Simple, convenient and functional – these are the principles underlying Fort Monitor software. Our new mobile app meets all these requirements (Figure 1) and allows you to work anywhere in the world using just a smartphone. 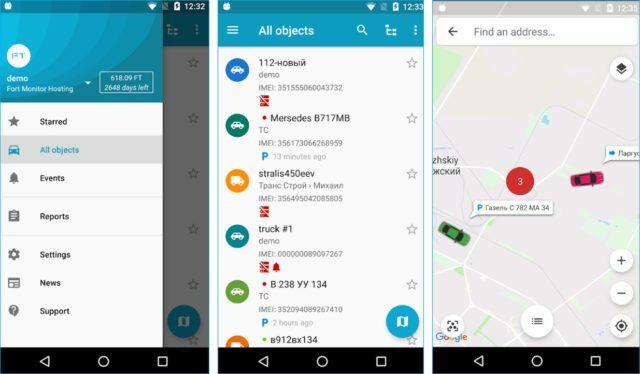 The app has all the functions of the desktop version: you can see the status of the vehicle and connected sensors, its location on the map, tracks in the requested period, you can build routes and reports and get push notifications. Figure 1: Fort Monitor mobile application interface. After updating the software to version 3.11, all Fort Monitor users (both Fort Monitor Hosting and Fort Monitor Vendor) will be able to use the full functionality of the mobile application. The desktop version has an updated object editing page: its interface is now more user-friendly (Figures 2, 3). Figure 2: Previous version of the editing page. Figure 3: New version of the editing page. Now all the required parameters are located in a single window and represented as blocks. In addition, the page has become adaptive to ensure correct display of the website on all devices and adjust to the size of the browser window. Another improvement is updated functionality of the section: now users do not need to refresh the page when adding objects, which saves time significantly. 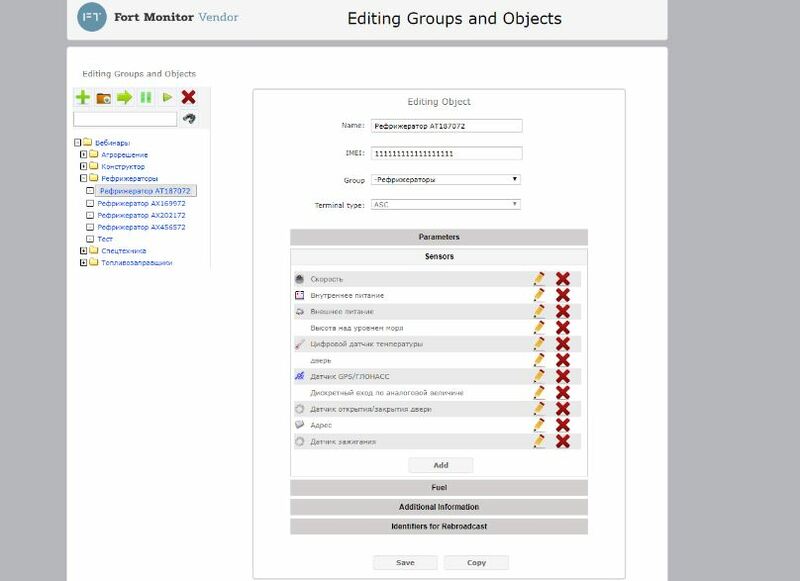 In the previous versions, Fort Monitor users had to work with report constructor directly in the system interface. 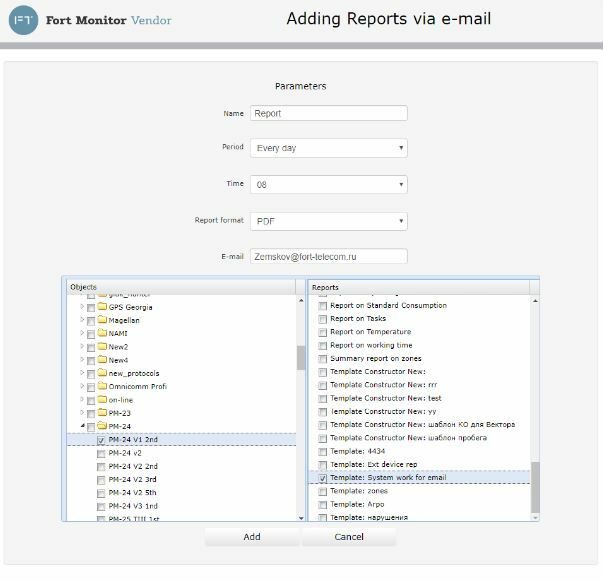 Now Fort Monitor report constructor can create templates with automatic e-mailing: you can configure the time and other parameters of report e-mailing (Figure 4). Figure 4: Automatic report building. Fort Monitor version 3.11 has new options that simplify processing of the received data. In 2019, the developers plan to focus on the functional component — new features and applications of Fort Monitor.